New York City’s curbside recycling collections being sorted at the Sims facility in Sunset Park. September brings with it the resumption of posts on the remarkably generative Discard Studies blog edited by Professors Max Liboiron and Josh Lepawsky and graduate student Alex Zahara of Memorial University of Newfoundland. Over the last several years, the authors of the blog have generated some of the best critical thinking across disciplines assessing the power relations, systems, culture, and economics of how and why modern societies discard. What Is Discard Studies? We tend to think that we are familiar with waste because we deal with it every day. Yet, most aspects of waste are entirely hidden from common view and understanding, including the wider social, economic, political, cultural, and material systems that shape waste and wasting. Unlike studies that take waste and trash as their primary objects of study, discard studies looks at wider systems that make waste and wasting they ways they are. For instance, rather than asking how much people recycle and why they don’t recycle more, discard studies asks why recycling is considered good in the first place (MacBride 2011, Liboiron 2009, Ackerman 1997). The field of discard studies is united by a critical framework that questions premises of what seems normal or given, and analyzes the wider role of society and culture, including social norms, economic systems, forms of labor, ideology, infrastructure, and power in definitions of, attitudes toward, behaviors around, and materialities of waste, broadly defined. As its starting point, discard studies holds that waste is not produced by individuals and is not automatically disgusting, harmful, or morally offensive, but that both the materials of discards and their meanings are part of wider sociocultural-economic systems. Our task is to interrogate these systems for how waste comes to be, and our work is often to offer critical alternatives to popular and normative notions of waste. Discard Studies is designed as an online hub for scholars, activists, environmentalists, students, artists, planners, and others who are asking questions about waste, not just as an ecological problem, but as a process, category, mentality, judgment, an infrastructural and economic challenge, and as a site for producing power as well as struggles against power structures. We produce and host: monthly research-based articles on discard studies; compile a monthly report on recent articles, jobs, and calls for participation relevant to discard studies called “The Dirt”; and maintain a repository of definitions, bibliographies, and syllabi as resources. The blog is back, and it has costs to meet, including paying for the server, compensating the collaborating editor who is a graduate student, and (if enough of us donate) allowing the writers of each piece to be compensated for their labors. If this strikes you as a valuable endeavor, consider supporting Discard Studies on Patreon. This entry was posted in policy, publications, recycling, Uncategorized, waste on September 6, 2018 by Carl Zimring. Memphis Mayor Henry Loeb, 1968. Today is the 95th anniversary of onetime Memphis Mayor Henry Loeb’s birth. 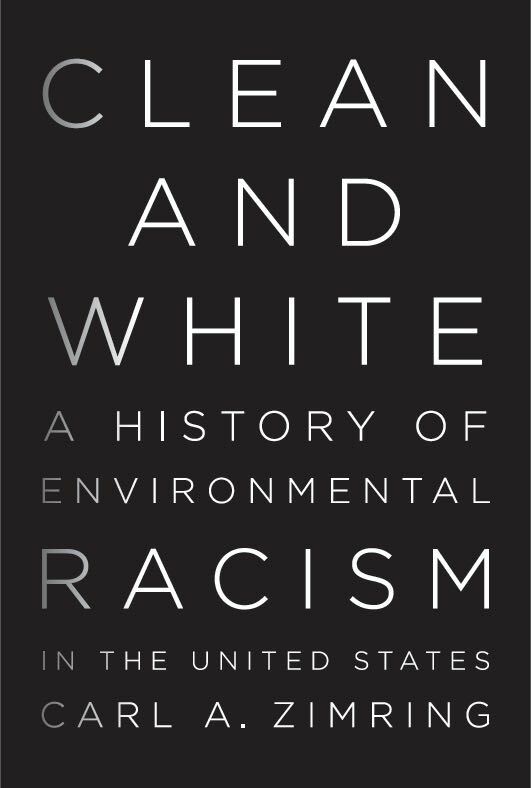 As I discuss in my forthcoming book Clean and White: A History of Environmental Racism in the United States (available from NYU Press January 8, 2016, and available for preorder now) Loeb’s life and actions reflect the shifting power relations around white identity in the 20th century, and the ways those power relations were used to exacerbate environmental racism. Loeb is most famous (or infamous) for his role in the events leading up to Martin Luther King, Jr’s 1968 assassination. Dr. King was in Memphis to support a strike of sanitation workers when he was killed. That strike was triggered by Mayor Loeb’s actions. Loeb became mayor as a champion of white supremacy. That fact does not set him apart from George Wallace, Lester Maddox, or the many politicians who used racist ideology to win and retain office in the 1960s. Loeb’s history, however, illuminates an aspect of white supremacy usually not remarked upon — its association with hygiene. Loeb was descended from German Jewish immigrants who arrived in Memphis during the nineteenth century. His grandfather opened a successful chain of laundries that employed African-American women to do the hard work of keeping the customers’ clothes clean. The Loeb family grew prosperous off this labor; Henry was born in 1920 into a family of wealth and privilege. He attended Philips Academy prep school and Brown University. His friends included John F. Kennedy (who, like Henry, served on a patrol boat during World War II). Henry tended to the family business after World War II. He resisted efforts from black workers to organize unions, kept wages and overhead low, and continued to keep the enterprise profitable. He married Mary Gregg, the 1950 queen of the Memphis Cotton Carnival (a celebration of the Cotton South and the Confederacy) and converted from Judiasm to the Episcopal Church. Having assimilated into the upper crust of white Memphis society, Loeb began a political career. He got elected to the Memphis City Commission in 1955 and began his oversight of the Public Works Department, which included streets and sanitation. As historian Michael K. Honey observed in his terrific book Going Down Jericho Road, the workers in Memphis’s Sanitation Department charged with collecting garbage were overwhelmingly African American and male. Under Loeb, they were subject to dangerous working conditions and often forced to work an additional hour each day without pay. Loeb used his experience to run an explicitly racist campaign for mayor in 1959, serving a term before stepping down to run the family business after the manager had died of a heart attack. After four years away, he ran again for the office in 1967, once again winning an explicitly racist campaign. Mayor Loeb refused to entertain workers’ desire to have their union recognized or their desire for improved working conditions. With tensions rising, two workers, Echol Cole and Robert Walker, were killed on a garbage truck. They were riding on the back of the truck as was procedure in Memphis’s Department of Public Works. In a pouring rain, the two men tried to take cover as best they could by climbing onto a perch between a hydraulic ram used to compact the garbage and the inner wall of the truck. Somewhere along the drive, the ram activated, crushing the two men to death. One had tried to escape, but the mechanism caught his raincoat and pulled him back to his death. The men’s deaths led to an immediate walkout. Loeb did not back down, refusing to negotiate with the workers. The history of the strike, Dr. King’s involvement in it, its marches, its violence, Loeb’s refusal to negotiate, and the aftermath of Dr. King’s assassination are discussed in Chapter 8 of Clean and White. Available January 8 from NYU Press, the book contextualizes Loeb’s actions in a time when fears about waste and racial purity intertwined, producing new labor markets and spatial arrangements to manage the materials Americans classified as waste. Loeb is one of the actors in a long history of Americans’ often troubled relationship with those wastes and with each other. This is how I remember him on the 95th anniversary of his birth. This entry was posted in Clean and White, policy, publications, waste on December 9, 2015 by Carl Zimring. Today is the anniversary of Col. George E. Waring’s death. Waring, most famous for the sanitary reforms he developed as Street Commissioner of New York City, had been appointed by President McKinley to investigate sanitation in Cuba. There, he contracted yellow fever, which killed him at the age of 65. Waring had immediate and enduring influence on the sanitation of two major American cities. He developed a sewer system for Memphis that alleviated that city’s chronic cholera and yellow fever epidemics. In New York City, he modernized waste management, establishing the “White Wings” street-cleaners (teams dressed in immaculate white uniforms to sweep the streets), and transforming sanitation work from patronage to a necessary city service. This attitude is jarring in 2015, but was commonplace in the 1890s. Sanitary engineers, sociologists, and advertisements have all left evidence that peoples other than native-born whites in the United States were seen as somehow more fit to handle waste or otherwise be exposed to waste. How this attitude developed, how it was resisted by many affected people, and what consequences it has had for American society is the subject of my new book Clean and White: A History of Environmental Racism in the United States. Available Nov. 13 from NYU Press, the book contextualizes Waring’s work in a time when fears about waste and racial purity intertwined, producing new labor markets and spatial arrangements to manage the materials Americans classified as waste. Waring is one of the actors in a long history of Americans’ often troubled relationship with those wastes and with each other. Waring’s death from yellow fever was a reminder that the hazards he sought to eliminate endured in the Americas. His life, and his life’s work, showed the complex ways in which perception of those hazards shaped American society. He should be remembered for both his accomplishments and these complexities, and that is one of the goals of the book. This entry was posted in Clean and White, policy, publications, waste on October 29, 2015 by Carl Zimring. Wednesday morning, Dan Loney of the Knowledge@Wharton show spoke to me about the implications of New York City’s new styrofoam ban. SiriusXM listeners can find Knowledge@Wharton on Channel 111, and I am told the episode will be available for the next few days. This entry was posted in interviews, policy and tagged waste on July 10, 2015 by Carl Zimring. 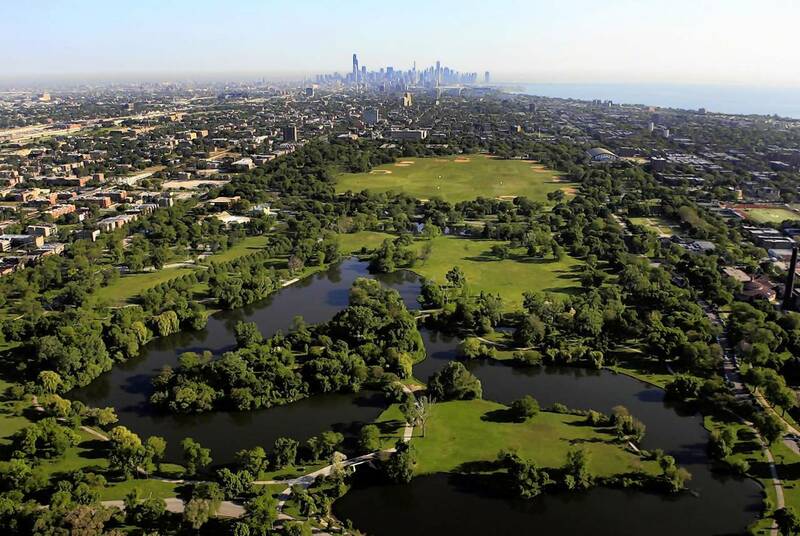 Washington Park, one of the two South Side neighborhoods proposed for the Obama Presidential Library’s site. Chicago Tribune architectural critic Blair Kamin reported that the Barack Obama Presidential Library that (according to multiple news reports) will be built on the South Side of Chicago in 2017 may be designed by London-based, Tanzanian-born architect David Adjaye. Kamin discusses the possible controversy over not using a Chicago-based, or African-American, or American architect — for this iconic national building. Adjaye would be the first non-American architect to design a presidential library. Boosting his already substantial profile, the Art Institute of Chicago in September will mount a solo exhibition of his work, which includes the under-construction National Museum of African American History and Culture on the National Mall and Denver’s cool, cubelike Museum of Contemporary Art. Yet some are asking: Why the focus on Adjaye? Why not an African-American architect like North Carolina’s Philip Freelon, who designed a Washington, D.C., library that Obama visited last week? Or why not one of Chicago’s leading architects, like Jeanne Gang, Helmut Jahn, Ralph Johnson or John Ronan? As a sustainability scholar, I have further questions, though perhaps not ones one might suspect from a sustainability scholar. True, I could hope that the building be designed to adhere to LEED or Passive or Living Building Challenge specifications, all of which focus on the performance of the completed structure as it relates to environmental concerns. I do support those goals, but my question is simple. Shouldn’t this library that will reshape a large swath of the South Side of Chicago be designed with the help and approval of the oft-negelected South Siders who will live around it? Before dismissing my question as silly, consider that what I propose is in keeping with the work MacArthur “Genius Grant” Fellow Rick Lowe has done for decades. His most famous achievement, Houston’s Project Row Houses (PRH), is lauded for its use of artistic expression in neighborhood revitalization. Central to that innovation is a careful, sustained dialogue with the members of the affected community about what a development may mean to them and how it may serve them. Originally trained as a painter, Lowe shifted the focus of his artistic practice in the early 1990s in order to address more directly the pressing social, economic, and cultural needs of his community. With a group of fellow artists, he organized the purchase and restoration of a block and a half of derelict properties—twenty-two shotgun houses from the 1930s—in Houston’s predominantly African American Third Ward and turned them into Project Row Houses (PRH), an unusual amalgam of arts venue and community support center. Why is this important? Barack Obama’s presidential library has strong symbolic value as one sited in an urban area with many social and economic challenges. Too often, the people who live near the proposed sites have suffered neglect or conscious abuse by those in power (such as the municipal government or, as Jane Jacobs illustrated in The Death and Life of Great American Cities, the University of Chicago). At a time when Chicago’s municipal government is criticized for not attending to the voices and needs of many of its citizens, planning a presidential library with the help of the working-class people who will be affected by its construction and operation strikes me as the most sustainable process possible. Giving these community members a stake it its design may lead to them creating ways to use and contribute to the library in the decades ahead. Allowing their voices to be heard in a meaningful way also strikes me as setting a tone for the legacy of community organizer-turned-President Obama in history. Bringing the library’s neighbors into the planning process is more revolutionary than selecting a particular architect. It is consistent with the state of the art of sustainable building strategies (as this half-hour video from the Rocky Mountain Institute emphasizes). It runs counter to the decades of neglect and abuse heaped upon the communities surrounding the sites. It also would be a favorable part of the legacy of whichever architect gets her or his name attached to the project. I urge the Barack Obama Foundation to consider this approach when planning this important historic development. This entry was posted in policy, sustainability on May 6, 2015 by Carl Zimring. Every four years, New York City writes a plan to help chart our course as a city. This year we are providing a forum for all New Yorkers to join us in this important process. Leave your mark on the future of New York City by sharing your ideas for how we move forward. You can participate in the survey here. If you’re concerned about the city’s carbon footprint, you can consult the Urban Green Council’s plan to reduce emissions beyond the city’s own plan. If you’d like the city to enact Zero Waste approaches to solid waste (ranging from single-use packaging restrictions to citywide composting of organics), the case studies at Zero Waste Europe may be useful. The survey is open-ended enough to include a broad set of concerns ranging from incarceration to affordable housing. Broad responses will give the city a better idea of what its residents value as it makes its new plan, so I encourage residents to participate. This entry was posted in policy on March 6, 2015 by Carl Zimring.